Today was Day #3 of Chocolate and All Things Orange. And, nothing says orange like a basket full of ripe, organic persimmons: 1.) big, juicy, bright orange Hachiya; and 2.) small, slightly crisper, Fuyu persimmons. 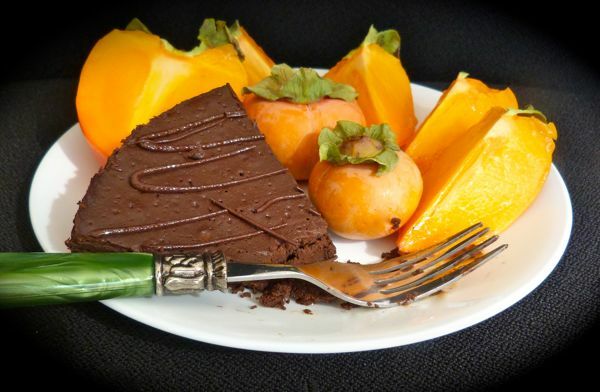 * Pop a ripe Hachiya persimmon in the freezer, and the frozen fruit pulp can be eaten like sorbet. Just scoop out the insides with a spoon. 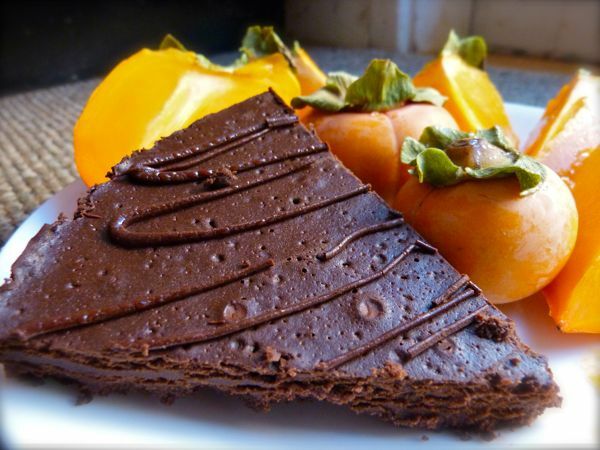 Fresh fruit is a good complement to chocolate, or chocolate cake. 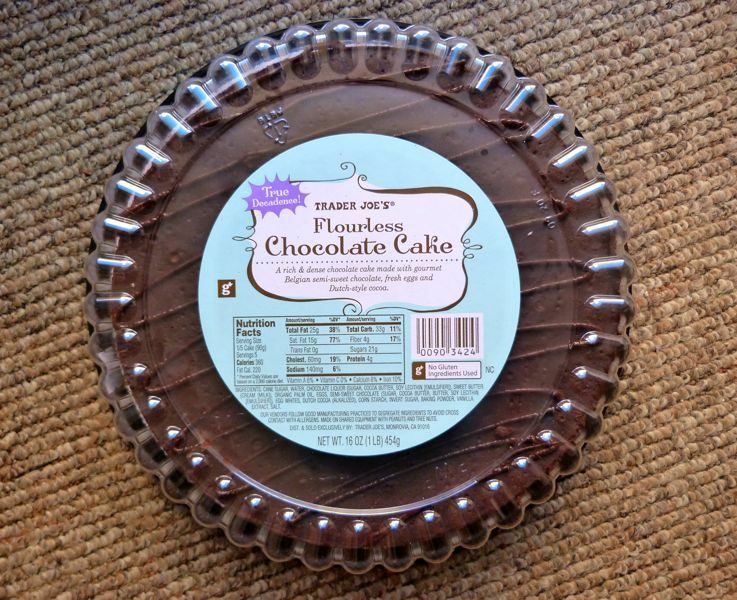 Drum roll please, as we move on to the cacao-based star of the day: a Flourless Chocolate Cake from Trader Joe's (Monrovia, CA). 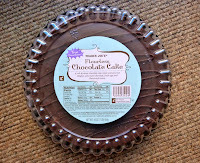 This dense, moist, chocolatey cake was the perfect, gluten-free fuel for a pre-hike lunch. *Note: My only regret: not being able to find some "chocolate" persimmons (with brown flesh inside), in time for today's entry.